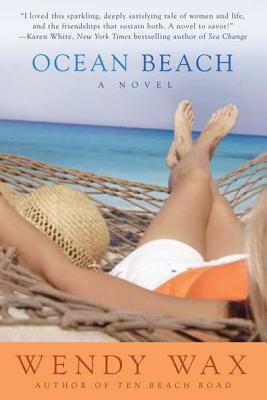 Goodreads: Unlikely friends Madeline, Avery and Nicole have hit some speed bumps in their lives, but when they arrive in Miami’s South Beach neighborhood, they are all hoping for a do-over. Literally. They’ve been hired to bring a once-grand historic house back to its former glory on a new television show called Do-Over. If they can just get this show off the ground, Nikki would get back on her feet financially, Avery could restart her ruined career, and Maddie would have a shot at keeping her family together. Kritters Thoughts: The second in a series and like the first, I had read book 3-5 before reading this one, so this almost felt like a prequel to what I had already read since I read them out of order. Parts of these books are self contained with the house that they are renovating being contained within each book, but there are absolutely parts in the book that are character development that go from book to book that helps when you actually read them in order! With this being book two in the series there was some recap in the first few chapters that made it feel repetitive only because I read them back to back. But once you got beyond that point, the reading felt new and original. I absolutely adored the home that they restored in this book. I loved the mystery behind its owners and bringing the house back to life while also celebrating him and his deceased wife's life. The main ladies were also great in this book, the character development felt more prevalent in this book because the ground had been set in book one. This book made me excited to read book six and continue with the series. I felt like I learned some back history that I was missing when I had read book three-five. I have read book six and my review will be going up tomorrow, come back to hear my thoughts as I am officially caught up in the series.